For less-than $10 per day subscription grants 2-week access pass to monitor 33 year Trading Veteran and Commodity Trading Advisor (CTA), David D Dube as he navigates futures markets and moderates trade opportunities to PTG Members in Real-Time. Should you decide to join PTG's growing community of serious like-minded traders, trial subscription cost will be directly applied to total cost of Full PTG Membership. Full One Month access to the PTG Trading Room. Includes Live Trading Room, Moderators Charts and Indicators Display. This is a non-recurring, one time, 30 day PTG Live Trading Room access fee. ***NOTE: There is no access to Education Material with this subscription. 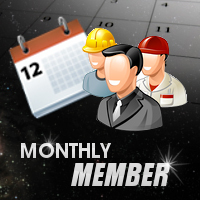 3-Month PTG Trading Room Subscription. Includes Live Trading Room, Daily Trade Strategy Briefing, PTG University Member Area, which includes Wednesday Workshop archived videos, all related info on PTG Proprietary Trade Setups. You receive a 33% discount on our one month access ($299 mo) with this 3-month subscription. 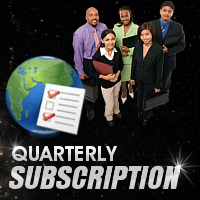 This is a recurring subscription that bills $600 quarterly. 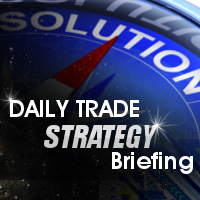 Daily Trade Strategy Briefing (S&P 500 e-mini (ES) and Nasdaq-100 (NQ) Futures). This daily email report is published "pre-RTH" Session so traders can be prepared and have an actionable trade strategy plan with relevant probability price targets for the current session. This is a recurring subscription $79.95 billed monthly. 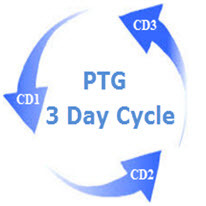 PTG 3 Day Cycle (a.k.a. Taylor Trading Technique) was invented by George Douglass Taylor in the 1940’s. His core premise was that the market is manipulated in stages which repeat over and over. These stages were manually recorded using his “Book Method”. Now traders have access to an “Electronic Trading Book” via “PTG/TTT e-Book” spreadsheet emailed daily. The “PTG/TTT e-Book” is today’s electronic version of Taylor’s 1950 “Book Method”; shows that even in Bear markets, the “Smart Money” creates a positive 3 Day Rally in over 84% of the Cycles. 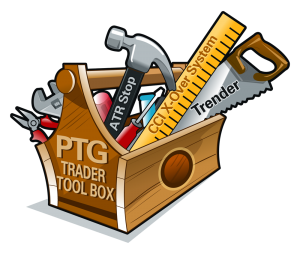 The PTG Trader Tool Box v1.0 Software Suite includes the full package of v1.0 Polaris Trading Group Indicators. Polaris Trading Group's Trader Toolbox software suite is a collection of technical indicators and overlays created in Sierra Chart and NinjaTrader. ***Note: Lease to Own agreement available ONLY for Sierra Chart and NinjaTrader 7 for the complete Trader Tool Box package. The PTG v1.0 Complete Indicator Package includes the following indicator modules. Subscribed member benefit: As long as you maintain your room membership you will receive all updates as well as new indicators as they are developed. This is a 10-month lease to own option for the Trader Tool Box v1.0 Software Suite.